If you have used a PC in the last 20 years, you will almost certainly have used the Windows XP operating system for a while. The moment of Windows XP already happened a decade ago but, what would Windows XP be like in 2018? Welcome to Windows XP 2018 Edition. If you have used a PC in the last 20 years, you will almost certainly have used the Windows XP operating system for a while. The moment of Windows XP already happened a decade ago but, what would Windows XP be like in 2018? Welcome to Windows XP 2018 Edition. Remembering an old software with nostalgia is an excusable romantic exercise, but it has no practical utility. In computer science, evolution is ruthless, as it has no mercy with the old software. An old movie is completely enjoyable a century later, but an operating system 20 years ago, today is a real torture: slow, limited and prone to hanging on to the slightest opportunity. Nobody in their right mind would use Windows XP in 2018 (well, except for the 100 million computers that still use it). 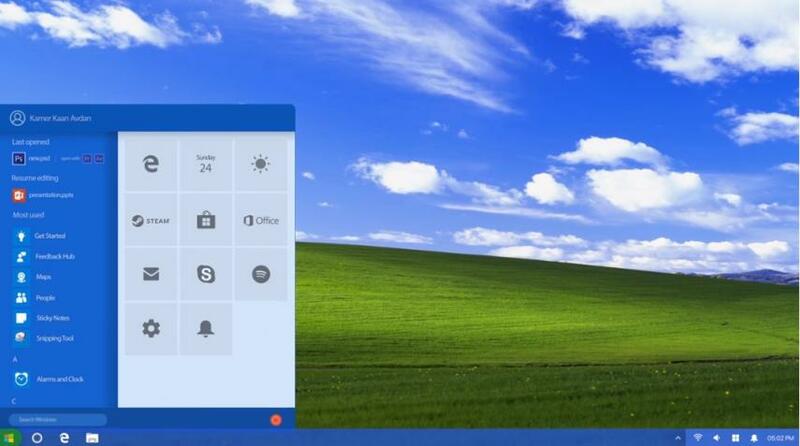 But what would Windows XP look like if it had been released in 2018? 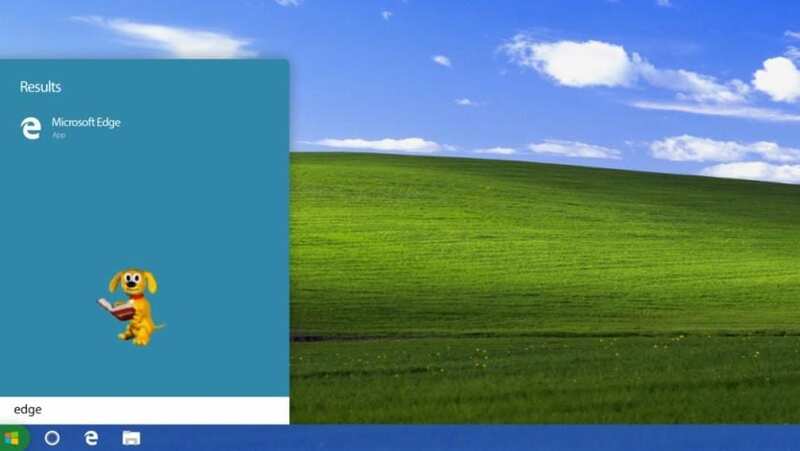 The attractiveness of Windows XP 2018 Edition is in its simplicity and redesign. It is not Windows 10 with the Windows XP interface. 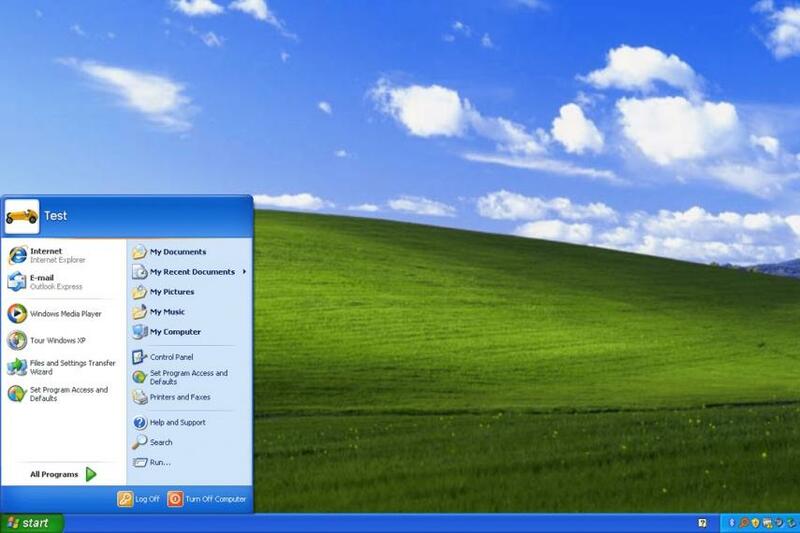 It’s Windows XP reimagined. The square and raised edges of the original windows have been replaced by the flat design, by layers and primary colours, which is now carried in modern operating systems. 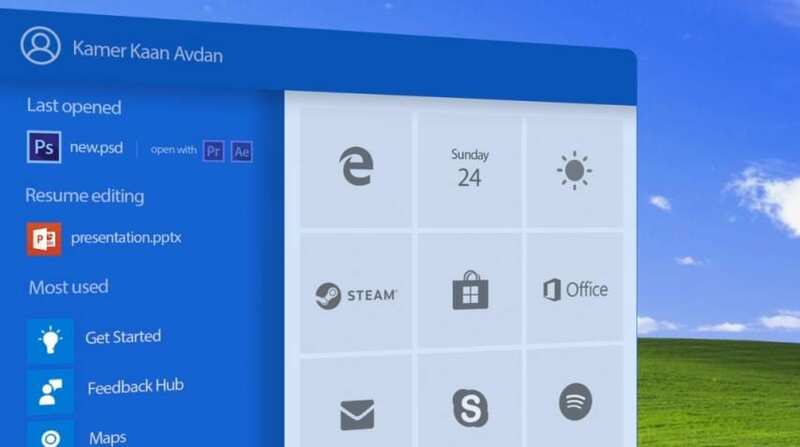 The photos and animations of the Start Menu disappear, showing only the monochrome logos of the different applications. It is a relaxing, almost healing vision. The assault of images, news and publicity towards our eyes replaced by information, without sweeteners. Who needs Cortana taking Rover, the friendly wise puppy of Windows XP? It helped us in the searches (or at least it tried because the search engine of Windows XP was a disaster). Windows XP was launched in 2001. It was the first operating system based on the Windows NT architecture, created for professional environments, much more stable and secure than home Windows. Windows XP was faster and hung less than Windows 95. It also released the new Luna interface, much more attractive to the eye than any other version of Windows. Windows XP released some important improvements in Windows environments, such as faster startup, support of several accounts, the Internet connection through Asymmetric digital subscriber line (ADSL), or the ability to install programs and drivers without restarting the PC. In 2008 the tech giant Microsoft withdrew it from the sale, and in 2014 it eliminated support, except for emergency security patches, such as the WannaCry patch released a few months ago. Although it is an expired operating system and has not been updated for years, according to NetMarketshare in May 2018, it is still working on 6.13% of all PCs. Taking into account that there are about 2,000 million Windows PCs in the world, that means that more than 100 million computers are still using Windows XP. Seeing these figures, maybe it would not be so far-fetched for Microsoft to consider launching a Windows XP 2018 Edition. Although we are left with the beautiful utopia of Kamer Kaan Avdan.